Ricky Lee Stickland, Sr., 50, Great Bend, ND passed away suddenly on Saturday, November 24, 2012 at St. Francis Healthcare Campus, Breckenridge, MN. A memorial service will be held on Thursday, November 29 at 2:00 PM at Willow Creek Chapel, Wahpeton, ND. Visitation will be one hour prior to the service at the funeral home. Vertin-Munson Funeral Home is in charge of arrangements. Rick was born on December 1, 1961 to Larry W. and Eva Lou "Toddy" (Palmer) Stickland in Sisseton, SD. He grew up and attended school in Sisseton. He worked for Schultz Foods for a few years. He married Lynnelle DuMarce-Stickland in Sisseton in 1985. They lived in Naples, SD for awhile where Rick worked for Bochek Farms. They moved to Great Bend, ND in September of 1996 where he began working for Jim and Jay Miller Farms until the present date. Rick put his family first before taking care of himself. He had a great love for farming and hunting. He will be missed for his quick wit and great sense of humor. Rick is survived by his wife, Lynnelle DuMarce-Stickland; two sons, Ricky Stickland, Jr., Great Bend, ND, Joshua DuMarce, Flandreau, SD; two daughters, Yolanda (Dusty) Voth, Coleharbor, ND, Kayla Stickland, Wahpeton; his mother, Eva Lou Stickland, Sisseton, SD; two brothers, Larry D. Stickland, Watertown, SD, Bill (Deb) Stickland, Sisseton, SD; one sister, Pam Holte, Wahpeton; three grandchildren, Emeril Voth, JaLeene DuMarce, JoLanda DuMarce, and Baby Girl Stickland due in April 2013; and many nieces and nephews that will miss him greatly. 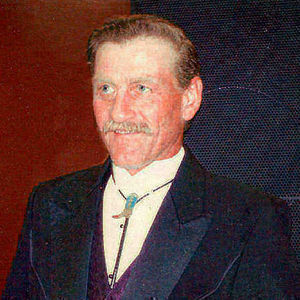 Rick was preceded in death by his father, Larry W. Stickland; his brother, Marvin Stickland, and his grandson, Jake Voth. Create An Online Memorial For Ricky Lee Stickland, Sr.
May God wrap his arms around you with all the comfort he can give in this sad time. Our thoughts and prayers are with you. Deepest blessings bestowed your way. Our love and prayers to your family Yolanda. Try to remember and share the happy times together as a family. Your memories help keep your loved one alive in your hearts.